About: Once owned by legendary composer and conductor Marvin Hamlisch and also by renowned chef and author Anna Pump, the former Captain’s House at 330 Main Street in Sag Harbor is as notable for its famous history as it is for its architecture and beauty. Now owned by superstar real estate agent Noble Black of Douglas Elliman and his husband, lawyer Marc Rozic, the circa-1840s $2.895 million house has also been home to football commentator Gene Washington. Beautifully designed and renovated by by John Bjornen, with its antique charms entirely intact, the 2,7000-square-foot Main Street manse sits on .17 acres, enclosed by an 8 foot ilex hedge for privacy. Making the most of its village surroundings, the beautiful grounds were designed by Joseph Cornetta with lush estate plantings and water features. Additional exterior amenities include Sag Harbor Cove and Otter Pond views, a heated plunge pool and separate sitting and dining areas outdoors. Currently configured as a four-bedroom-plus-library and three-full-bath home, there are six working fireplaces and water views from every room. Downstairs the front bedroom/ parlor features a wood-burning fireplace, two exposures and views onto Otter Pond. A charming den is the heart of the home overlooking the backyard and just off the living room. The kitchen boasts both timeless charm and modern convenience with beamed ceilings, circa 1840 fireplace oven and Viking and Sub-Zero appliances. Upstairs are three additional bedrooms. The oversized master features two exposures with views over Upper Sag Cove, a fireplace and en-suite bath. 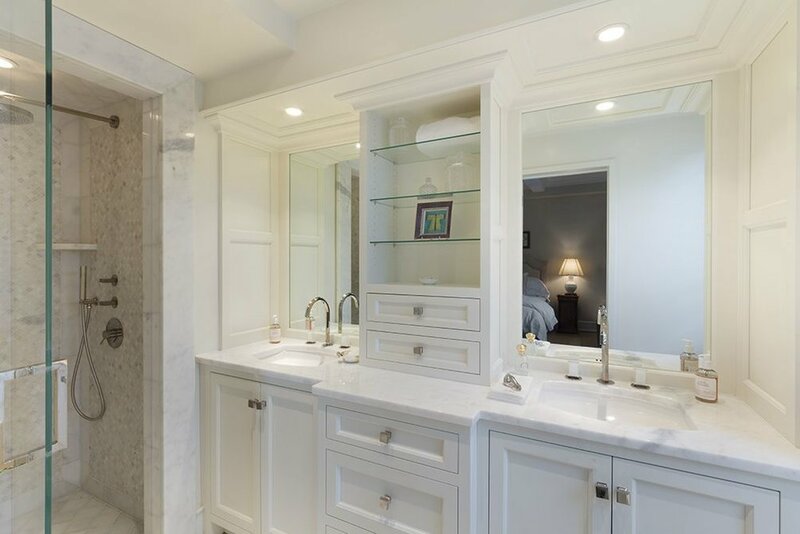 A separate oversized guest suite features a new marble bathroom, private stair access and double exposure over Otter Pond and the Cove while the attic is cedar-lined for amazing storage. About: This stunning Central Park South home is in a league of its own. 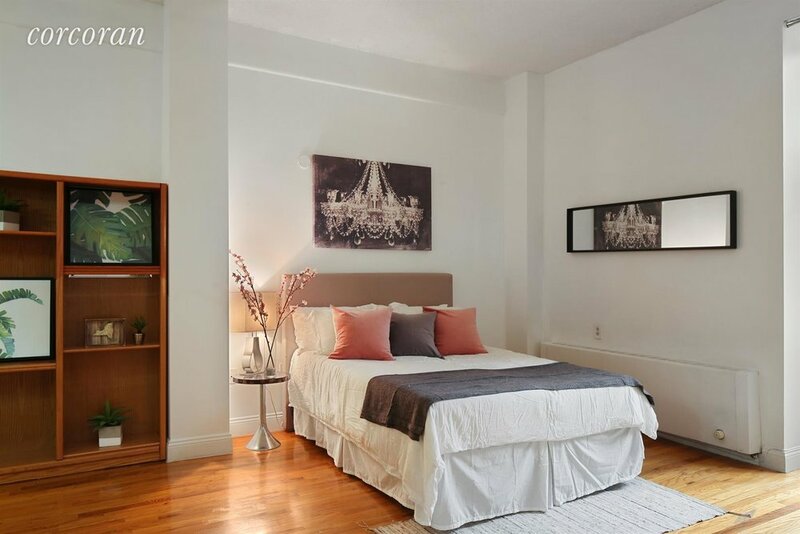 Meticulously renovated, this two-bedroom, two-bathroom, turnkey Central Park South home has the grandeur and sophistication of old-world New York and the convenience and luxury of modern living. Spacious rooms and an intelligent floor plan let you feel just as comfortable entertaining as relaxing in the quiet, especially thanks to energy-efficient soundproof windows. The large foyer opens to the elegant, expansive and luxuriously finished living room with windows that face directly onto renowned Central Park, the first landscaped public park in the United States. The view will change with the changing seasons. The living room has a wood burning fireplace and is large enough for two separate seating areas. Stunning built-ins include a bar and wine refrigerator. The well-designed, windowed kitchen has handsome custom cabinetry, extensive counter space, top-of-the-line appliances including a Sub-Zero refrigerator, Miele dishwasher, a Viking stove and microwave, a built-in water filter and a rarely found garbage disposal. There is a separate dining area. The master bedroom also faces the park, has a full wall of closets, a spa-like master bathroom with double sinks and a steam shower. The second bedroom is generously-sized, also has plentiful closets and a private, spacious bathroom and built-ins that provide plenty of storage. Additional features include hardwood floors, high ceilings, crown moldings and custom built-ins throughout, central air, a washer and a vented dryer and built-in stereo speakers. Vickey Barron at Compass is the listing agent. About: Enter this modern 1,100 square foot loft apartment through your very own private entrance or use the main entrance to the coveted Saint Johns Condominium. Previously used as a one-bedroom with home office (an additional bedroom can be added, please see alternate floor plan). Currently used as a large loft style studio taking advantage of the dramatic proportions which include 10'5"ceilings and enormous windows bringing in sunlight, including 159 square feet of private outdoor space. Upon entering the front door of the unit you are greeted by a lovely foyer (can be converted into office space) with generous sized closets and plenty of storage space above. The kitchen features granite counters, stainless steel appliances including a dishwasher. There is a large walk in closet behind the kitchen that also houses the w/d. Hardwood floors throughout. This home offers a wealth of layout possibilities--one can easily convert it back to the previous floor plan, create a custom layout, or enjoy the current, open layout. Incredibly low monthly costs for an apartment of this size and layout options. Barbara Katsnelson & Heather McMaster at Corcoran are the listing agents.